"An electrifying debut" (The Economist) that maps the blurred lines between good and evil, soldier and civilian, victor and vanquished. 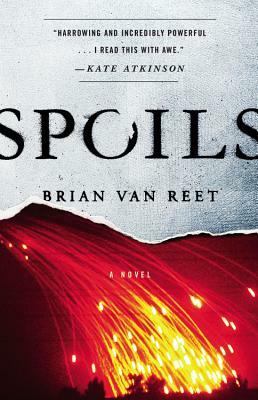 In dazzling and propulsive prose, Brian Van Reet explores the lives on both sides of the battle lines: Cassandra, a nineteen-year-old gunner on an American Humvee who is captured during a deadly firefight and awakens in a prison cell; Abu Al-Hool, a lifelong mujahedeen beset by a simmering crisis of conscience as he struggles against enemies from without and within, including the new wave of far more radicalized jihadists; and Specialist Sleed, a tank crewman who goes along with a "victimless" crime, the consequences of which are more awful than any he could have imagined. Brian Van Reet was born in Houston. Following the September 11th attacks, he left the University of Virginia, where he was an Echols Scholar, and enlisted in the U.S. Army as a tank crewman. He served in Iraq under stop-loss orders, achieved the rank of sergeant, and was awarded a Bronze Star for valor. He has twice won the Texas Institute of Letters short story award. This is his first novel.